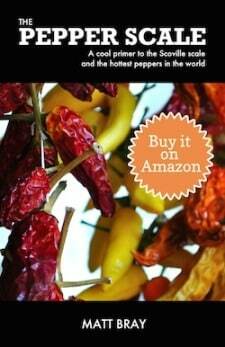 You are here: Home / Chili Pepper Substitutes / What’s A Good Hot Paprika Substitute? Hot paprika can be either hot Hungarian paprika or hot smoked paprika from Spain. The Spanish and Hungarian versions are interchangeable, but you will not have an easy time finding either of them in the average American grocery store. In other words, you will probably have to seek out a substitute. 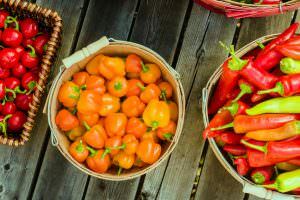 If you are trying to replace either type of hot paprika, you will need your alternative to possess their most important qualities such as a moderate capsicum heat and the earthy sweetness that you get from regular paprika. Below are some of the best hot paprika substitutes, all of which are relatively easy to find. 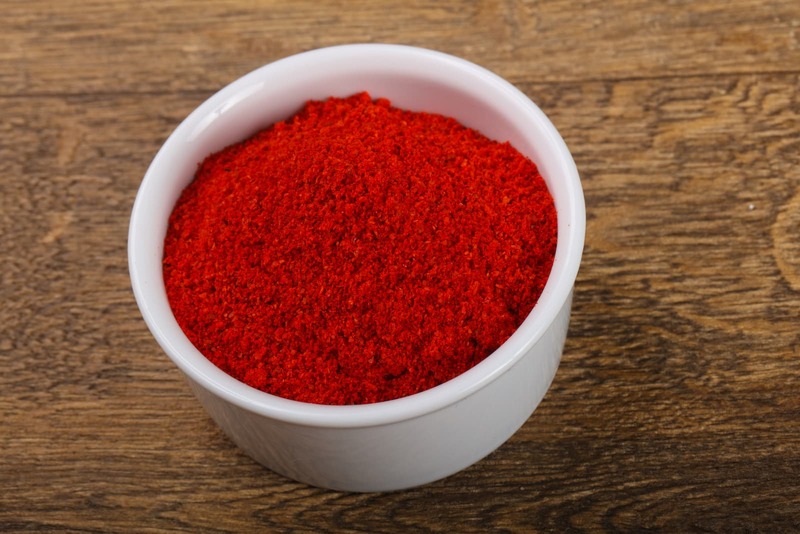 Standard Spanish or Hungarian paprika can provide much of the flavor and the color that you want from hot paprika. What it won’t do is give you the heat. Cayenne pepper is similar to the peppers used to make paprika. Cayenne is known for its moderately fiery kick and color but does not have much going for it in terms of flavor. 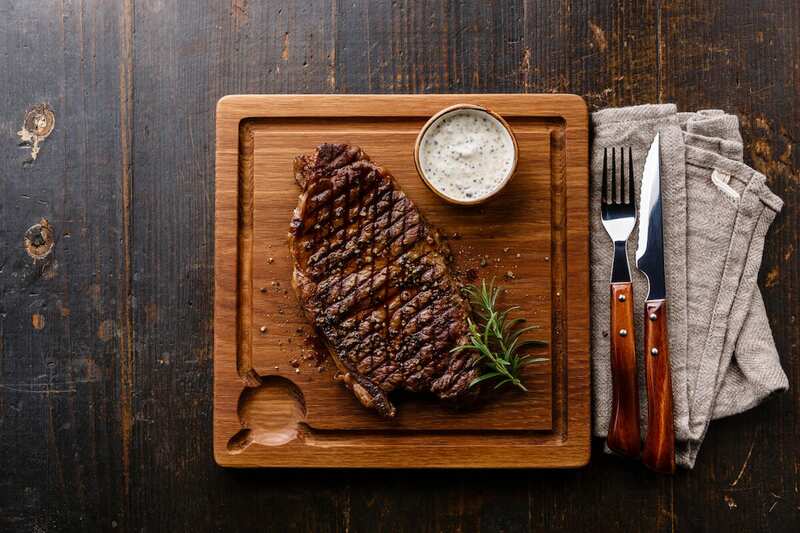 When you combine it with paprika, each pepper powder compensates for what the other does not have. 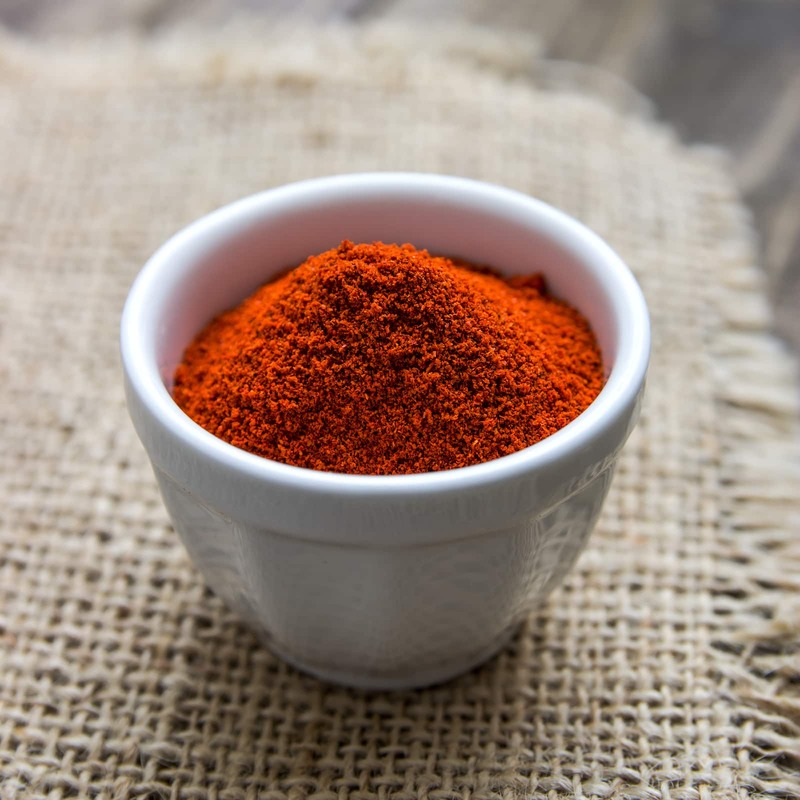 Cayenne powder — which is hotter than the hottest paprika — brings the heat; sweet paprika adds flavor and dilutes the cayenne to keep the blend from being too hot. You should probably start with a half paprika and half cayenne mix. You can play with the ratio to get something closer to hot paprika if a fifty-fifty blend doesn’t give you exactly what you want. If you do not have paprika on hand, you can use simply use cayenne powder. 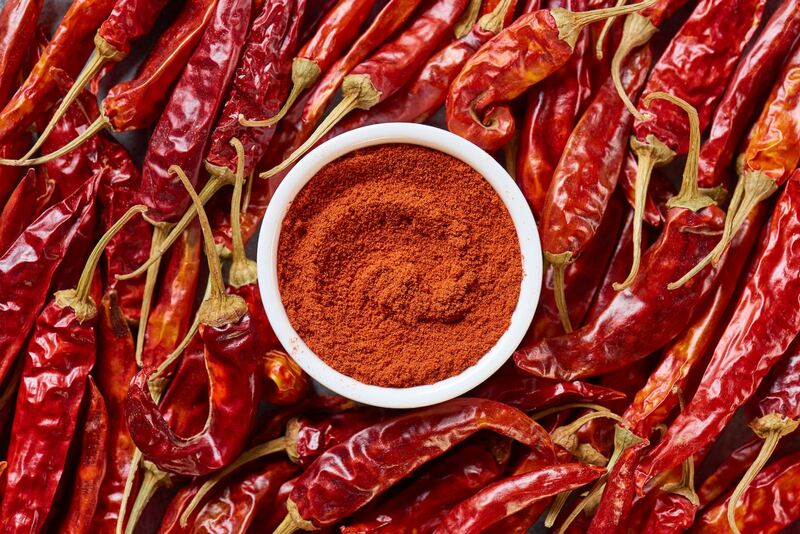 By itself, cayenne is not as flavorful as hot paprika, but it does have a higher concentration of capsaicin and more capsaicin gives it more heat. If the fieriness of hot paprika is what interests you and not the rest of its flavor profile, you can replace it with a smaller amount of cayenne powder. Cayenne looks like hot paprika and will provide you with a similar bright red color. If you want to get something closer to the sweetness of paprika, you can try adding a sweetener like sugar or honey. You will have to be very careful when you try to sweeten the dish as you can easily wind up going overboard. 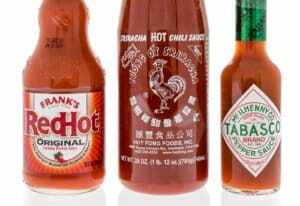 Similarly, you should approach cayenne pepper with caution because of how hot it can be compared to hot paprika. Gochugaru refers to Korean red pepper flakes. These flakes are a bright red like paprika and unlike other pepper flakes — such as the crushed red pepper flakes used in Italian cooking — gochugaru does not contain seeds. The lack of seeds means that you can grind gochugaru in your spice grinder or food processor to get a fine red powder that looks similar to hot paprika and that has a moderate heat level. There will be no white flecks or bitterness from the seeds. You should be able to find gochugaru in most stores that specialize in Asian ingredients. 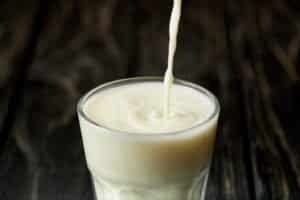 You may be able to find gochugaru powder in some places, which would eliminate the need to grind the flakes yourself. Sambal oelek is a chile pepper paste, which means that it has an entirely different consistency when compared to hot paprika. It is not a good substitute for hot paprika in some applications but can work in the ones where its moisture will not be an issue. It will give a similar heat and a red color.